Sims has a lot of potential and could be very fun to watch this year. Charles Sims has spoken to the media just once since transferring from the University of Houston to West Virginia in June. It was a little more than 11 minutes of Sims politely answering basic questions and strongly suggesting he’s not one for the spotlight off the field. “I’m just trying to enjoy myself,” Sims said, the envelope pushed about as far as he was willing to push it. 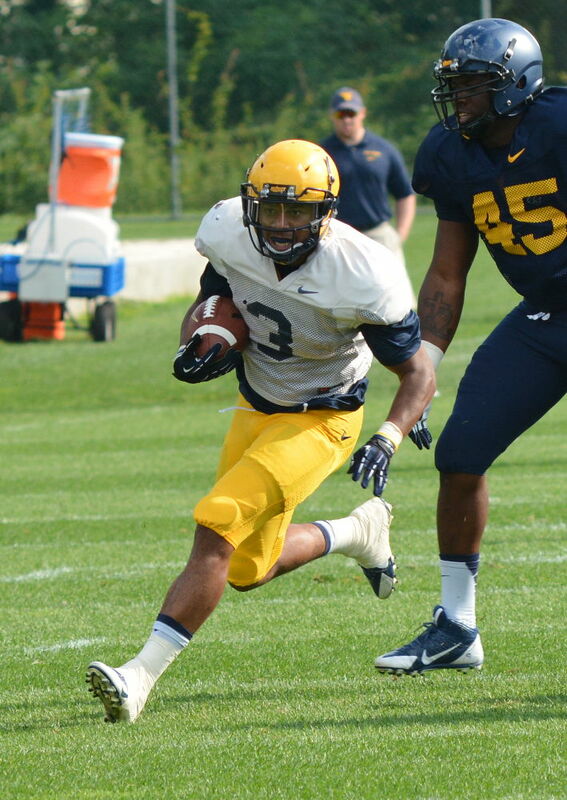 He can’t avoid the attention on the field and the Mountaineers don’t want him to during his only season on campus. The Conference USA Freshman of the Year with the Cougars in 2009, first-team all-conference in 2011 and second-team all-conference last season, Sims comes to WVU with 4,077 yards of offense and 37 touchdowns. He has averaged 7.7 yards per touch and scored once every 14 touches in his career.